Ethereum, the world's third-largest cryptocurrency by market capitalization, has fallen today as investors and traders nervously look towards the delayed Constantinople upgrade—which was expected to help solve the cryptocurrency's scalability issues. 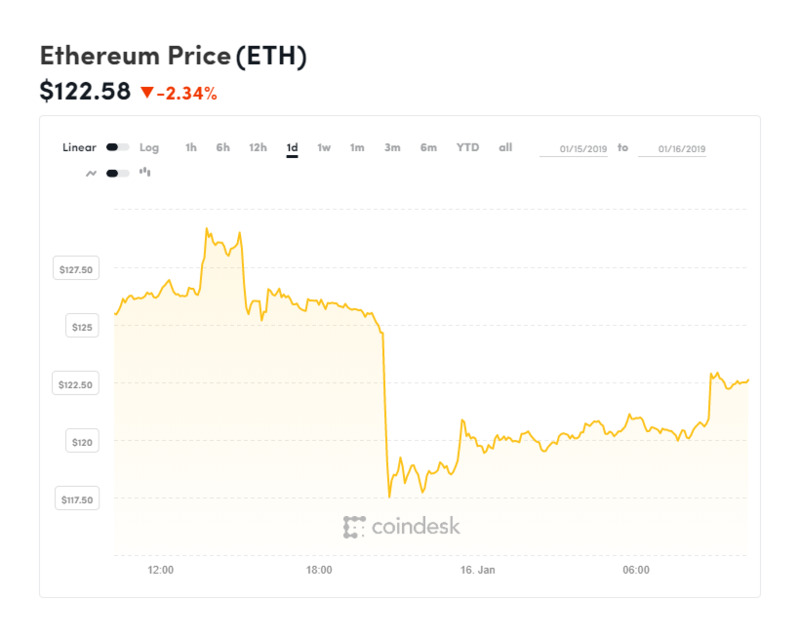 The ethereum price was off by some 3% over the last 24 hours, according to the CoinDesk ethereum price tracker. The delay is due to a potential security vulnerability identified by security audit company ChainSecurity, according to the official Ethereum blog. If it had gone ahead, attackers could exploit a loophole in the code to steal user funds. Ethereum has, along with the wider cryptocurrency market, fallen heavily throughout 2018. The upgrade, which will speed up processing times, improve the way the network monetizes data storage, and reduce mining rewards from three to two, is ethereum's eighth hard fork. This is, however, not the first time the upgrade has been delayed, with it originally scheduled to go live in November last year, but plans were derailed due to network bugs. There is currently no new date set for the ethereum upgrade, but it will be decided during an ethereum developer call on Friday. Ethereum's Constantinople upgrade is also part of its move to a proof-of-stake consensus algorithm later this year, from the more energy intensive proof-of-work it currently uses. Though the upgrade is considered a hard fork, in which the cryptocurrency will split in two, it's classed as noncontentious — meaning all transaction validators are likely to upgrade their software. Many ethereum traders and investors expect to see increased volatility ahead of the fork. "In the short-term, shortly before and during the fork expect to see price volatility pick up although we would expect to see things steady out after there is consensus on the chain," Piers Courtney, an analyst at cryptocurrency brokerage firm GlobalBlock, told investment news site MarketWatch. "It has been widely reported that this hard fork is expected to relieve some of the tensions that have been building regarding ETH and is likely to be positive for the valuation of ether (ethereum's tradable token) in the foreseeable future." The ethereum upgrade and hard fork is widely expected to be a positive thing for both users and developers of the ethereum blockchain and cryptocurrency. "For most consumer use cases, decentralized apps are a blind alley," said Matthew DiPietro, chief marketing officer at Kin Foundation. "The killer use cases are centralized apps that use cryptocurrencies to create better user experiences at massive scale. "Usage is all that matters. Not market cap. Not price speculation. The Constantinople fork, while needed, still won't allow ethereum to scale fast enough for widespread consumer adoption anytime soon. Consumers couldn’t care less about understanding how blockchain works. They just want great apps that simply work."